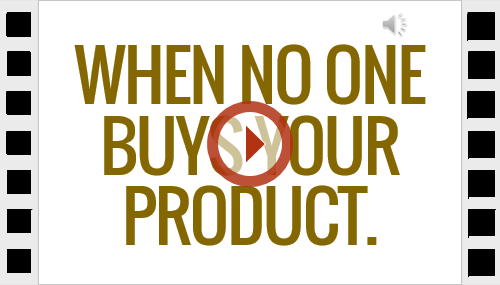 Amazing Video Making with PowerPoint - Start a Video Agency! Planning Video Agency? Now You CAN! Announcing amazing new course on video making with PowerPoint – get it NOW! Chance is, you already use PowerPoint for presentations, 90%+ users worldwide do. Now, turn your skills to start thriving video agency with PowerPoint. Every business needs video, no matter what! With PowerPoint, it’s easy and fast. 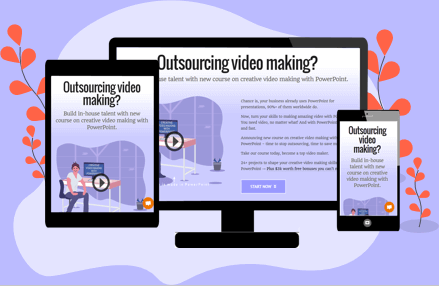 Announcing new course on amazing video making with PowerPoint – time to serve big demand, time to make money. Take our course, start a lucrative video agency. Today! 24+ projects to master video making skills with PowerPoint → Plus $3k worth free bonuses you can’t miss! Why video making with PowerPoint? There are more compelling reasons than one, have a look. With smartphones in your pocket, you’ve the right tools for video production. Or, do you? Guess what, just any video cannot engage your viewers, or achieve main purpose. The bar chart here (data source) shows the types of videos businesses have already invested in. And, only PowerPoint is well suited for most of these videos. For you it’s a familiar tool. So, with a low learning curve, PowerPoint is easier for making a wide range of videos for your video agency business. 9+ years solid experience in PowerPoint video making. 24+ projects on creative video making in PowerPoint. Master video making skills, start video agency from home. 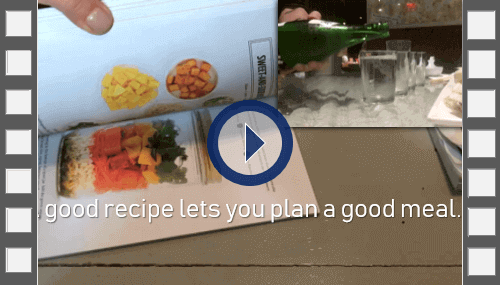 Transform simple plain texts to exciting video in < 10 mins. This is largely unknown. Convert texts from Notepad to PowerPoint slides in 1 click. Dress up slides a bit & create exciting video in < 10 minutes. Embed anywhere. Record voice and edit to make it noise free. Use a free tool to record your voice. Then, edit the voice track to make it noise free. If required, add a background score to make it snazzy. Embed & synchronize voice clips, produce entire video in PowerPoint. 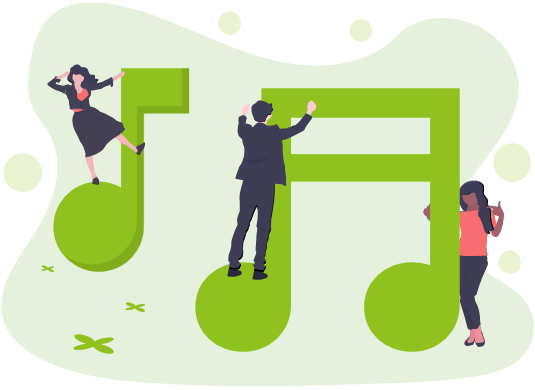 Embed and synchronize voice clips with background music in the slides. Produce entire video inside PowerPoint without external video editor!! Animate texts to give a wide range of effects → MODEL 1. Using PowerPoint to animate texts is a delight. Apply multiple animations to a single text element … and the results can be fabulous. You’ll love doing this. Animate texts to give a wide range of effects → MODEL 2. You can do innumerable text animations with PowerPoint. Here, you’ll animate texts on scrolling texts. Knowing some techniques will help you do more. Tell a story with kinetic typography video animating texts → MODEL 1. Take a step further. You’ll now create a kinetic typography video based on a story, by animating texts of varying colors and types. Watch this video. Tell a story with kinetic typography video animating texts → MODEL 2. 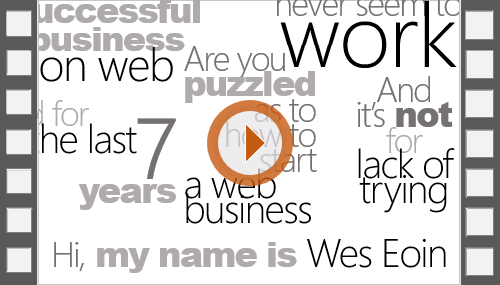 This is the second model of kinetic typography video you’ll learn making in PowerPoint. Simple animated texts can work well anytime. Click to watch this example. Tell a story with kinetic typography video animating texts → MODEL 3. 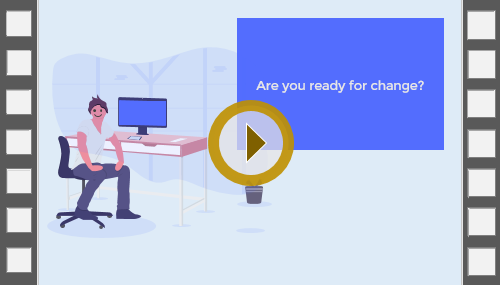 Exciting but a bit complex — learn a wide range of animations and transitions coming together to make this video. Check out how it works in this example. Tell a story with kinetic typography video animating texts → MODEL 4. This model shows using Prezi effect, dealing with zooming and panning of texts to create the video. With a little imagination this can be a good idea to try. 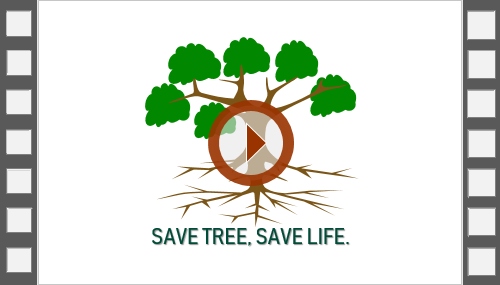 Source free vector clip arts for explainer video → MODEL 1. Source free vector clip arts from the web, ensure you can use them in PowerPoint, pick the right one for your explainer video. You’ll do this animation in the project. Animate vector clip arts for explainer video → MODEL 2. To animate the vector clip arts, break them into individual elements, and then animate them as you need to for your project. 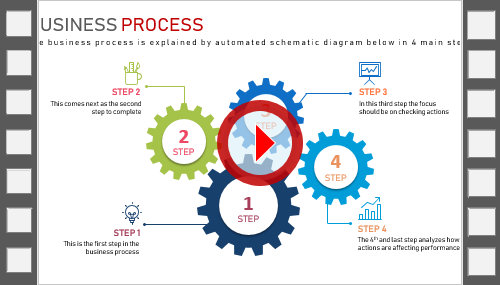 Create explainer video with animated texts & vector clip arts → MODEL 1. Let your imagination fly, animate both texts and vector clip arts together to tell your story in explainer video. Watch this video as an example. Create explainer video with animated texts & vector clip arts → MODEL 2. Select vector clip arts, write your message, create appealing explainer video animating both clip arts and texts. Watch this example. Create parallax video with animated texts & pictures → MODEL 1. Take your imagination a notch higher, give super touch to your video with exciting parallax effects you wouldn’t imagine possible. Watch this video. Create parallax video with text animation → MODEL 2. 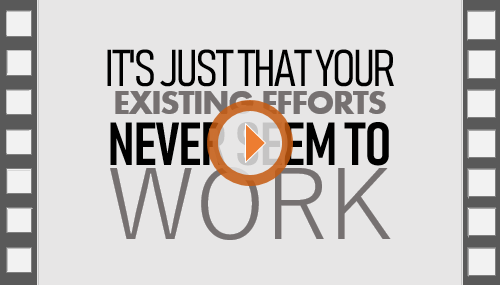 Create a combination of text animation with parallax backgrounds. 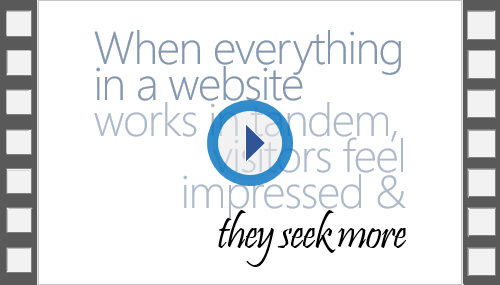 Give a touch of elegance to your video, make a difference. Convert PPT presentation into animated video → MODEL 1. Animate complex presentations to create videos for easy explanation → especially useful in board meetings, seminars and webinars. Watch this example video. 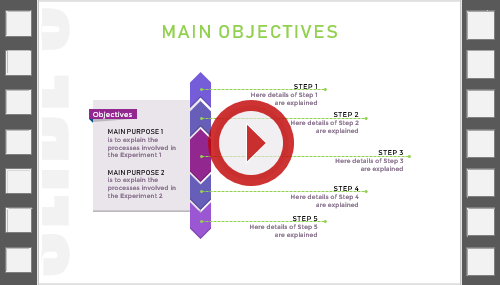 Convert PPT presentation into animated video → MODEL 2. This is a second example animating complex PowerPoint slides to create online videos for explaining in board meetings, seminars and webinars. Convert ‘hand-drawn’ presentation charts in PPT to animated video → MODEL 3. Charts are excellent for telling your video story. 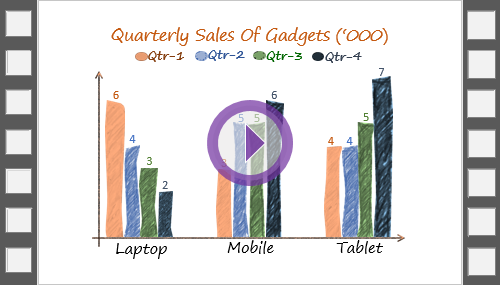 Give more credence to it by creating and animating ‘hand drawn’ charts in PowerPoint. Watch this example. Use picture-in-picture video to tell your story → MODEL 1. Keen to use multiple videos to tell your story, but not knowing how? Create picture-in-picture video in PowerPoint for just that. Watch the video example here. Use picture-in-picture video to tell your story → MODEL 2. In this project for picture-in-picture video in PowerPoint, you’ll use 4 videos for a story, alternating between part and full screens. Remove audio from any video, edit & rejoin. Separate audio from webcam (or any) video, edit it, add background music, and rejoin with original video. All of these with free tools. Join 2 or more videos to make final video. Cut, split, join 2 or more videos any which way you want. Then re-assemble them to create your final video. Do this with free video editor. Reduce bloated video file size. Cut down on large video file size – while NOT losing quality – this is essential for easy and fast communication on the web. Exclusive bonuses when you take this course. Get these unmatched bounties worth $2980 with this course. Get up to 1 hour personal counselling on video making (worth $140). There will be occasions when you may need specific help to solve the problems you’re facing. And for that you can avail 4 sessions of free personal counselling from Partha Bhattacharya, for a total of 1 hour. All PowerPoint templates in the course come for free (worth $630). For us it’s walking the talk. Get all the PowerPoint templates used in the course lessons for free. This means you can immediately use them for your video making after suitable changes. All future Projects come for free (worth $790). 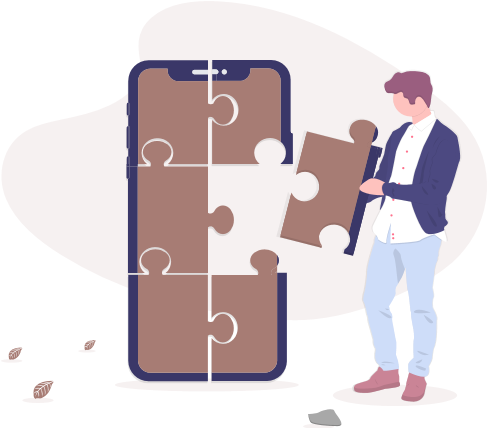 There is no end to your getting access to all the future Projects that are added to the course. This alone is priceless because you’ll continue to enhance your video making skills with PowerPoint at zero additional cost. All future PowerPoint templates come for free (worth $660). We will be adding even more exciting PowerPoint video templates in the future. As a subscriber to this course you’ll enjoy using each of them for creative video making with PowerPoint going forward. Awesome!! Get help for online course creation (worth $480+). Wanting to launch online courses with video lessons? Get counselling on essentials, including how to do this with WordPress. This is a game changer if you aspire to making money from teaching online. We pledge to add more bonuses in the coming time. On the anvil are mini courses on both video making, online course selling, etc. These will add more power to your resources on online teaching. Gain from video making expertise like others have. Make your video agency business a big success. Partha is a research-oriented technologist who pays strong attention to detail. He is particularly adept at using PowerPoint, and has written an excellent book, “PowerPoint Video Magic,” on the topic. Partha has deep expertise in making web video from PowerPoint. Considering importance of video … I believe Partha’s knowledge on PowerPoint video will immensely help many web entrepreneurs. Impressed how Partha was able to bring across interactive learning concepts (on PowerPoint video making) in a simple, easy to understand manner. No payment now. Intimation for payment to be sent 1 week before launch. Enjoy 100% no-questions-asked guaranteed refund when you buy the course. So, book your seat with confidence. If, for any reason, you are not satisfied with your purchased membership, we will issue a full refund. HubSkills.com offers no-hassle, no-questions-asked 30-day money-back policy. How about eternity! Well yes, you can access the course as many times as you want, as long as you want. You’ll have reasons to do that because we’ll add more lessons going forward. What resources do I get in the course? You can download the PowerPoint templates that are used in the lessons. We will continue to add more PowerPoint templates for download. Use them freely for your video making needs. Do I pay any other fee to access the course? No, you don’t pay any other fee after you buy the course. In future, we may start monthly or yearly subscription, but that’s still a long way off, if at all. You’re welcome. Send your query to team@hubskills.com. No payment now. Intimation will be sent 1 week before launch for making payment.